Eats, treats and, fingers crossed, some vaguely decent photography. This Christmas one of my lovely friends bought me the most marvellous cookbook, Persiana by Sabrina Ghayour. It’s one of those books that leaves you with the desire to invite people round for dinner immediately, so that you can try out as many dishes as possible. 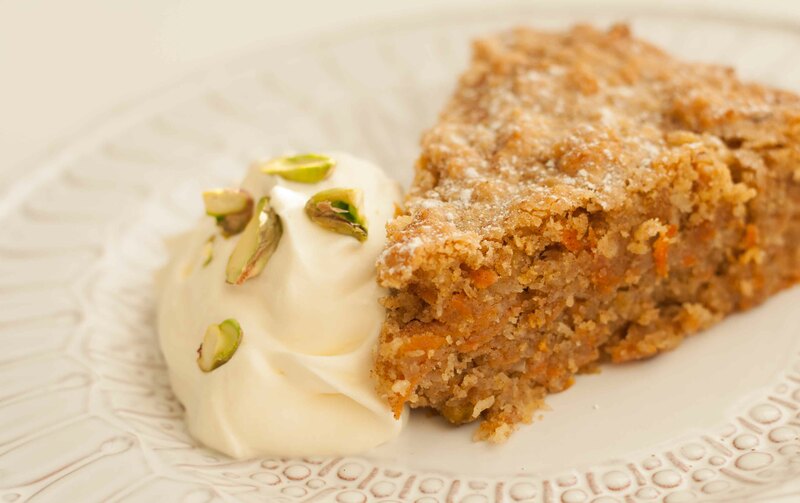 Every recipe seemed to catch my eye, but one stood out more than most, principally due to the presence of pistachios, almonds and, an ingredient I don’t get to use often enough, rosewater. It seems I may have a thing for gluten free carrot cake (I can heartily recommend the Venetian Carrot Cake), or possibly almond based cakes in general (Blueberry Polenta Cake with Lavender Syrup and Pomegranate Jewel Cake). Maybe it’s that hint of almond taste and texture or perhaps it’s the fact that the lack of flour makes it possible to happily eat more than your fair share! If you do make this cake (and I really hope you do), I must implore you to serve it with the rose cream. There’s something so decadent about rose scented pillowy cream, whipped and sweetened to perfection. It truly takes this cake to another level and makes it the perfect dessert after just about anything. I recommend you add this treat to your gluten-free repertoire, it’s so ridiculously easy to make and your stomach will thank you for it! Preheat your oven to 160C / 140C Fan / 320F and line the base of a 9inch round springform tin with baking paper. Peel and coarsely grate the carrots, shell and roughly chop the pistachios and melt the butter. Next, in a large bowl, beat together the eggs, sugar and vanilla extract. Add in the almonds, coconut and cinnamon and mix again. Add in the melted butter and incorporate it thoroughly before finally stirring in the carrots and pistachios. Pour the mixture into the tin and bake it in the oven for 1 hour, checking part way through that it’s cooking evenly. If you leave the cake to cool overnight in the tin it will stick together better. The next day, whip the cream with the rosewater and sugar until it is pillowy but not too stiff. 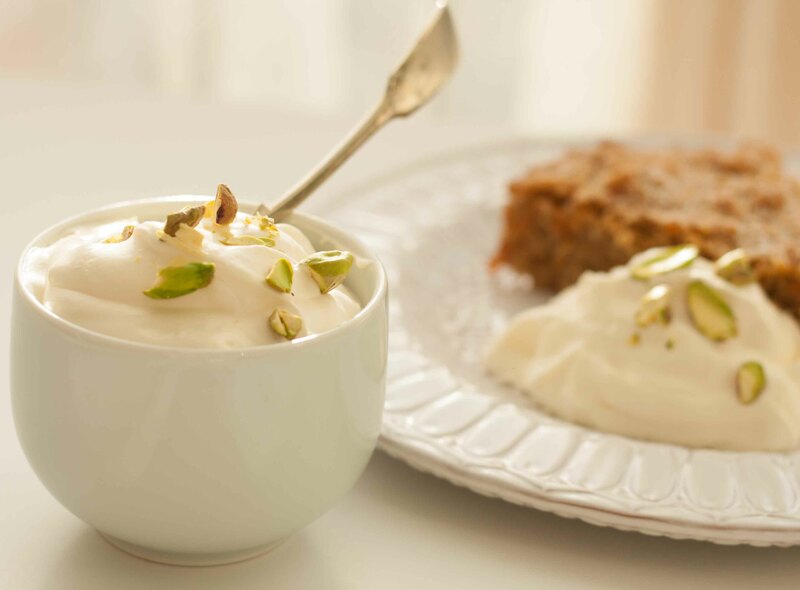 Serve it with generous wedges of the cake and a sprinkling of chopped pistachios. Enjoy!